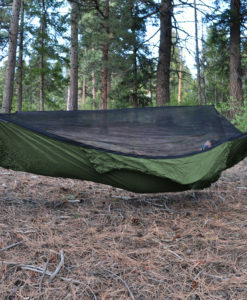 An Underquilt protector is a secondary layer of lightweight fabric that hangs below the underquilt and/or hammock bottom. 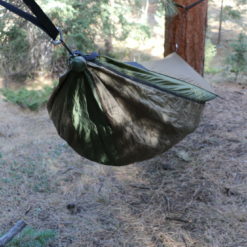 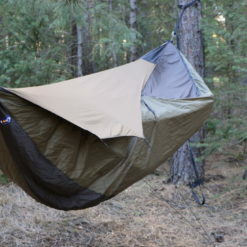 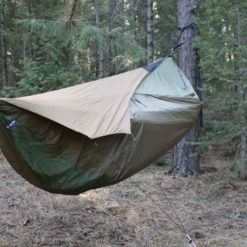 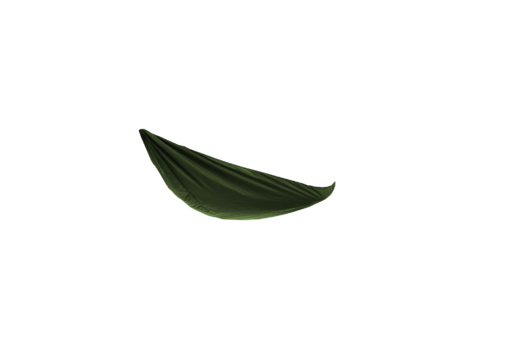 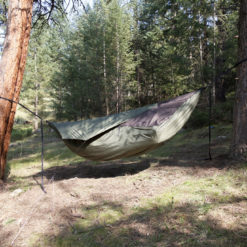 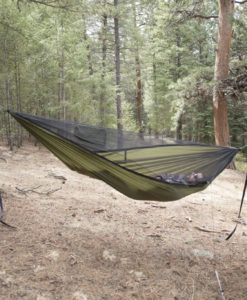 It’s useful in cooler weather to give extra wind and weather protection to your hammock bottom, and allows for the use of a smaller tarp than would otherwise be needed. 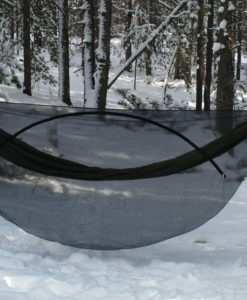 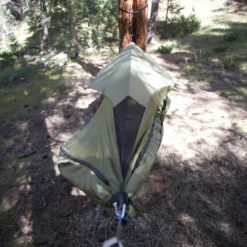 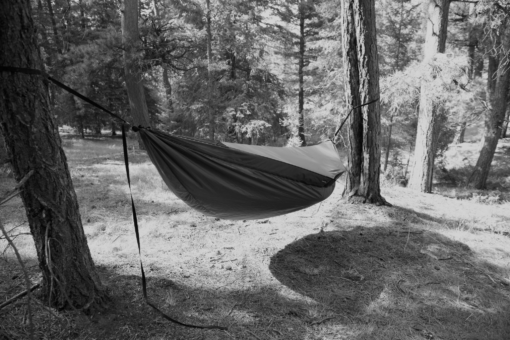 I can be attached to any of the XLC hammock configurations (no top, net top, winter top). 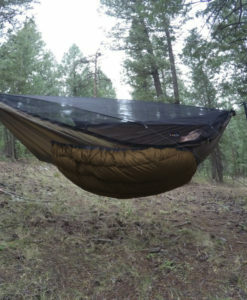 It can also be zipped directly to the XLC Topcover to create a full-on winter sock (The Chinook) that puts you, your hammock, and all your insulation inside it’s own wind and water resistant breathable microclimate. 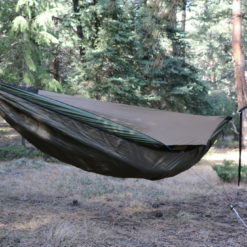 Buy the Topcover and Underquilt protector together and use code: Chinook25 for $25 off your order. 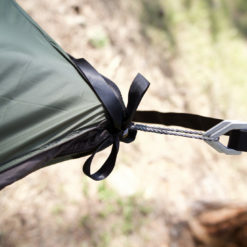 *Note: The “Extra zipper Track” add-on is optional. 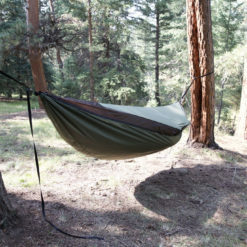 If not adding an extra zipper track your UQP will zip to the hammock’s net or winter top, leaving the hammock body floating freely inside. 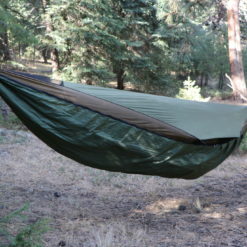 Adding the extra zipper track allows the hammock body and the UQP to both be zipped to your top at the same time. 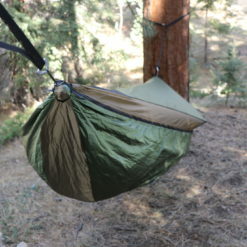 This small difference is personal preference, it adds 15$ and about 2.5 oz worth of zipper weight. 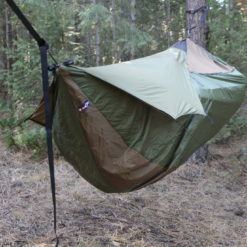 *NOTE: The underquilt protector can only be zipped to the new style XLC zipper configuration purchased after October 2017. 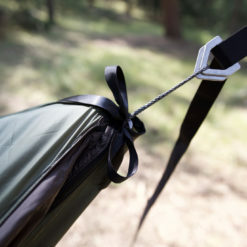 You can still use the UQP with the old style XLC by tying it on with the black ribbons using shoestring knots.